that was sighted near the towns of Delavan and Elkhorn in Wisconsin, mainly during the 1990s. It was labeled a Werewolf in local folklore. 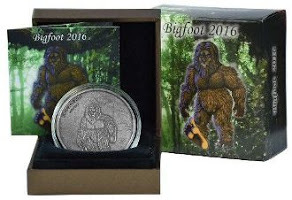 Most cryptozoologists have decided to label it a Bigfoot in order to avoid dealing with the scientific absurdities involved with werewolves. However, some people think that it is a cryptid canine instead. Some researchers consider the Beast of Bray Road to be identical to a kind of Wisconsin Bigfoot named the "Bluff Monster" or the "Eddy." Other names that have been applied to the Beast of Bray Road include the "Bear-Wolf" and the "Indigenous Dogman." But the Native Americans call it the "Wendigo." 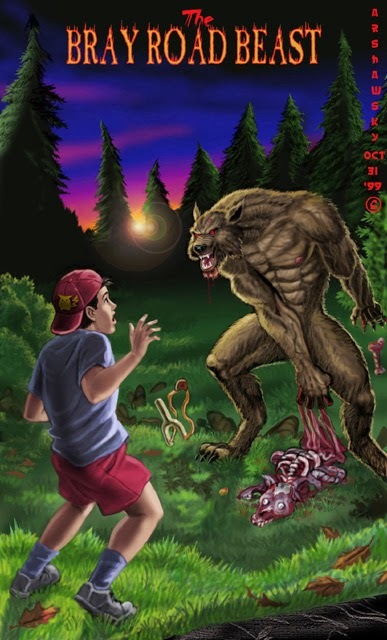 The Beast of Bray Road counts as the most famous of modern American werewolves. It has been in the media regularly since the first sightings were publicized, and even had a low-budget movie based on its legend. Because of the numerous witnesses who have claimed to see this creature, the evidence supporting the Beast of Bray Road is far greater than the evidence supporting almost any other werewolf legend. Cryptozoologists, of course, do not generally take shapeshifters seriously unless they are fringe cryptozoologists who hold more of a paranormal view of things. Therefore, as with other werewolf reports, there is a tendency to force the evidence into a more acceptable interpretation, discarding whatever circumstances and details of witness testimony that do not fit with the chosen hypothesis. First of all, there are those try to hold up something far more normal than the creature as it is described by most witnesses. Some say that all this fuss must be based around an escaped pet wolf, a large feral dog, a bear, or some other creature that is known to exist. According to this interpretation, the werewolf-like characteristics are due to mistaken observations or sheer panic that causes exaggeration of the animal's true features. Others think that it is all hallucination, or that a costumed prankster is behind it all. For those who believe that the Beast of Bray Road is something out of the ordinary, but not something as radical as an actual werewolf, cryptozoology is a natural place to turn for possible candidates. Several distinct cryptids, namely the skunk-ape (an odd relative of Bigfoot), the waheela (or bear-dog) and the canine-like shunka warakin, have all been mentioned as possibilities for the real identity of the Beast of Bray Road. All of these creatures would fit with some of the sightings, but none of these cryptids could account for all the sightings. We would still have to throw out some sightings, or we would have to assume that some witnesses were mistaken in their descriptions or that not all witnesses were seeing the same creature. The last main explanation used for the Beast of Bray Road is that at least two different creatures were being seen in the same area at the same time, and they ended up getting placed under the same label even though they should have been studied separately. It is possible that all of these were ordinary beings, such as wild dogs and costumed pranksters. It is also possible that one or more of these creatures was a genuine cryptid or mystery animal of some type, perhaps a new species, or perhaps only a subspecies or some non-native animal secretly released in Wisconsin.